Mr. Barnier revealed that there remains much to be agreed and that the issue of the border is at the centre of intensive work. No part of the island, but in particular border regions like Louth, will be immune from the economic and political consequences of Brexit. We know from a whole series of reports that our agri-food and agricultural sectors are especially vulnerable. 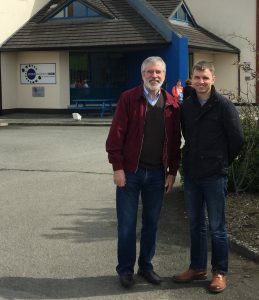 Sinn Féin TD for Louth Gerry Adams and Cllr Ruairí Ó Murchú have met with HSE management and families of those with intellectual disabilities to discuss the respite needs of families in County Louth. The meeting of Louth Respite Forum, which took place on Friday 27th April in Ardee, is the latest in a series of engagements regarding the lack of adequate respite provision. “Respite is essential for families caring for loved ones with intellectual disabilities. These families love their children, that is absolutely without doubt. They care for them diligently their whole lives, but everybody needs a break. “In order for these parents to provide this intensive level of care into the future, the Government needs to support them through the provision of respite. I have met with the Minister for Disability Finian McGrath on many occasions and raised the shocking gaps in provision of respite in Louth. 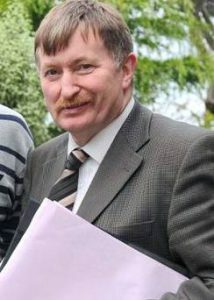 “I welcomed the Minister’s announcement in December 2017 that additional funding would be made available to the HSE in Louth and I am pleased to see the outworking of this with the recent opening of Bower House in Balbriggan which will provide respite for young adults. “Although welcome we still have many citizens who are not able to access appropriate respite in Louth. Older people with intellectual disabilities who live with their elderly parents are in desperate need of a proper respite service. 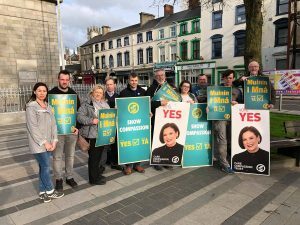 Dundalk Parents and Friends of the Intellectually Disabled have long made the case for their loved ones who are being treated shamefully at the moment. “I also welcome the news that the HSE will address this with a new premises in Dundalk which will be operative in the Autumn and I look forward to the delivery of this service. “I also pressed the HSE on the issue of emergency respite, the lack of which led to the complete cessation of summer respite in 2016. I received confirmation that the HSE are looking at realistic options in the event of an emergency which would not affect the respite of other citizens. 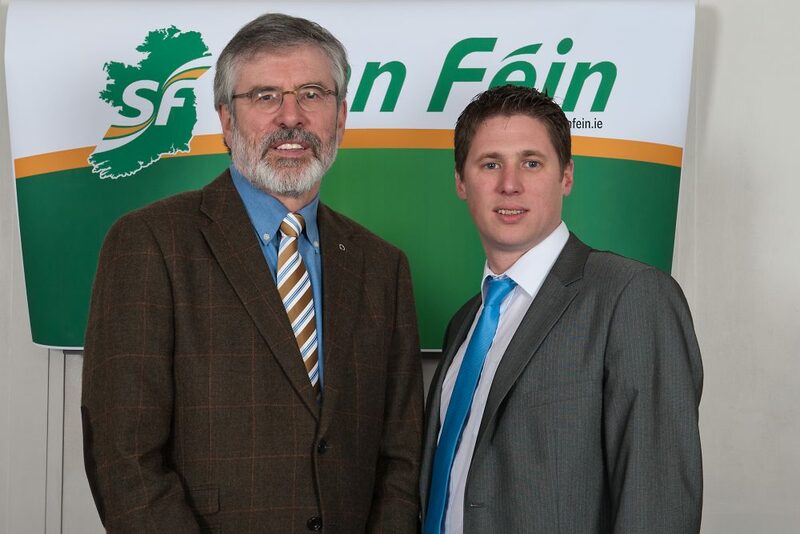 Sinn Féin Louth TD Gerry Adams has called for a YES vote in the forthcoming Repeal Referendum on May 25th. 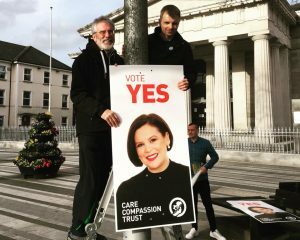 “The 8th Amendment has no place in a constitution. Doctors and nurses constantly work in the shadow of a constitutional amendment that criminalises their actions, damages the health of women and forces many to flee to other jurisdictions. Some women have died as a result. This is not right. 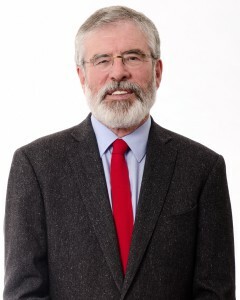 Sinn Féin Louth TD Gerry Adams this evening called for a review of facilities at all Garda stations to ensure that victims of domestic violence are interviewed in therapeutic and comfortable surroundings. 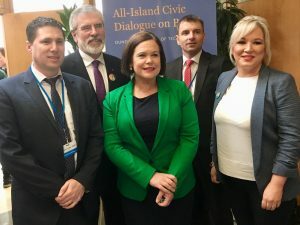 He cited the experience of the Philips family in 2015 two days before the incident in which Garda Tony Golden was murdered; Siobhán Philips seriously wounded and Crevan Mackin took his own life. “The Domestic Violence Bill is an important piece of legislation which is urgently needed. One stark statistic highlights its importance. From 1996 over 200 women have died violently as a consequence of domestic violence. Countless thousands more women and children have been the victim of physical and mental abuse. Among these victims is Siobhan Phillips, a young woman who was shot and grievously wounded in October 2015 in the same incident which saw Garda Tony Golden murdered and Crevan Mackin take his own life. Siobhán was the victim of sustained domestic violence. Two days before she and Garda Golden were shot she went with her family to Dundalk Garda station. She had been the victim of two days of a sustained assault by Crevan Mackin. She had been beaten and slashed and was in a distressed physical and emotional state. According to her family’s account, and despite Siobhán and her father telling the Garda that Mackin had threatened their lives, the Officer refused to take a statement and insisted that Siobhán go to Omeath the next day and speak to Garda Golden. The family was also deeply upset because their conversation, which was of a very intimate and personal nature, had to take place in the very small public hallway of the Dundalk station in front of other members of the public. I made numerous representations to the Minister on this and to the last Minister and was advised last December that the policy of An Garda Síochána on Domestic Abuse Intervention had been revised. Minister Flanagan wrote to me to say that An Garda Síochána had established Divisional Protective Services Units in three Garda Divisions, including Louth. When I subsequently raised this issue with the senior Garda in Dundalk they acknowledged that the station was still inadequate for dealing with this kind of situation. They told me that they had applied for funding to correct this so that Garda could meet victims in a proper, fitting and more therapeutic environment. The funding was refused they said. I have no doubt about the sincerity of the Minister in respect of this Bill but a genuine commitment to the victims of domestic violence to report their abuse and to seek help it must also ensure that not only is this Bill passed but has the financial supports needed to ensure that it can be implemented effectively. I would appeal to the Minister to order a review of the existing facilities in Garda stations for the victims of domestic violence to tell their story. 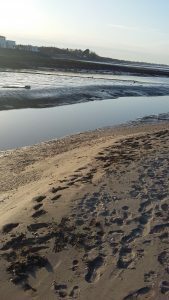 Sinn Féin Councillor Pearse McGeough has called on Louth County Council to address the build-up of silt at Annagassan Harbour once and for all following an incident on Saturday.